The Gender Sexuality Alliance (GSA) or formerly known as Gay Straight Alliance, has a new leader this year. Alex Stovall and Mia Douglass are working together to run it. “What GSA is all about is spreading the message of equality” Ellen Waller said. Every day in GSA they talk about local issues that affect the LGBT community lightly, and then the day can’t be complete without having snacks. Other days they do projects like make posters to advertise the group or team building exercises. 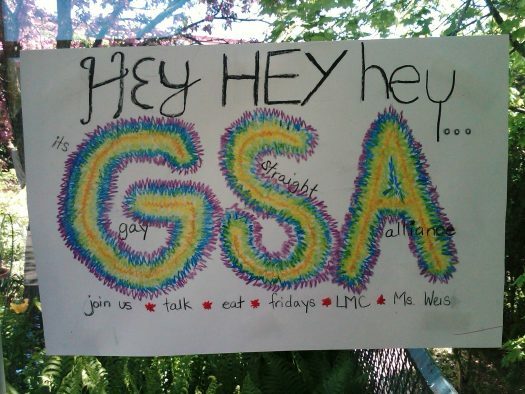 “My favorite thing about GSA are the snacks and the discussions” Walker said.